September 13, 2018  Catch live performances on Day 4 of the AmericanaFest Day Stage at The Local in Nashville. 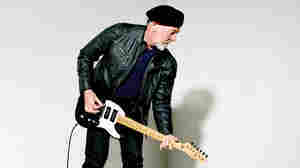 September 6, 2018  Richard Thompson struggles with his emotional demons by creating some of his most searing and soaring guitar work. 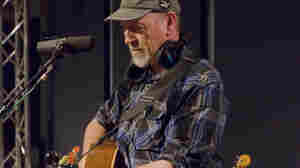 July 17, 2018  One of the greatest living guitarists, Richard Thompson has shared two new brilliant songs from his just-announced album 13 Rivers. 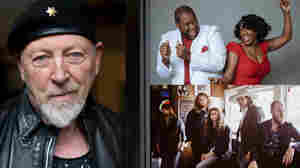 July 17, 2018  This week's episode of All Songs Considered features the return of several veteran favorites: the Canadian rock band Metric, the Irish folk group Villagers, and guitarist Richard Thompson. October 23, 2017  Before there was TV, before there were movies, before there was YouTube, people used songs to tell stories. June 30, 2015  Thompson's impressive body of work has grown again. Hear songs from his new album, Still. June 7, 2015  When the great guitarist takes a solo, it's a swerving, cathartic, edge-of-the-seat experience. When he doesn't, the bliss persists, but in highly concentrated doses. 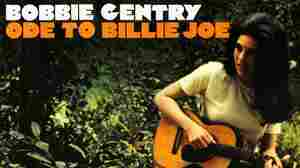 April 21, 2015  Hear a 1999 performance by one of England's best-loved singer-songwriters and guitarists. 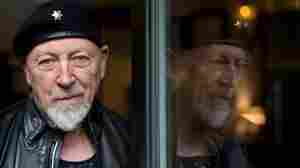 November 23, 2014  Folk heroes Richard and Linda Thompson split up, creatively and romantically, in the early 1980s. Now their son Teddy has brought them together — along with other family members — for a new album. 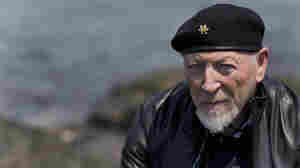 April 1, 2013  The folk-rock legend, now 45 years into his career, plays songs from his new album, Electric. February 27, 2013  Here, Thompson discusses his new album, Electric, and performs selections from it live in the studio. May 22, 2008  Summer road trips are a time for both celebration and meditation. There's an urgent need to be free and explore, while also blocking out the rest of the world and getting lost in wistful daydreams. 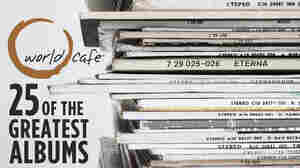 For Carrie Brownstein, former guitarist for Sleater-Kinney and host of NPR's Monitor Mix blog, nothing captures those moments better than these five songs. 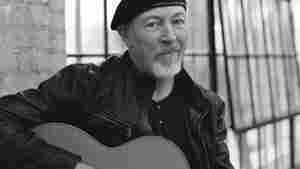 June 22, 2007  Richard Thompson has been making inspired music for forty years. 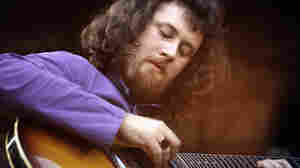 A guitar virtuoso, early innovator of the British folk-rock movement, and one of the era's finest songwriters, his distinctive style as an artist has influenced two generations of musicians and poets. 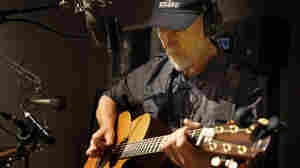 February 17, 2006  British singer/songwriter Richard Thompson has a new box set of live performances, outtakes, and previously unreleased material. 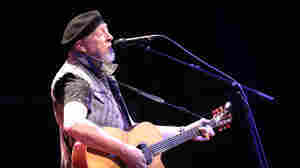 The 5-disc set, The Life and Music of Richard Thompson, was built from the musician's own archives as well as the archives of Thompson fans. August 20, 2005  The singer-songwriter's latest project is Front Parlour Ballads, a mostly acoustic work. Thompson tells John Ydstie about songs build around bikers, schoolyard bullies, dreamers, lovers and losers.